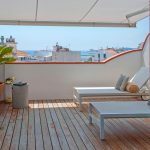 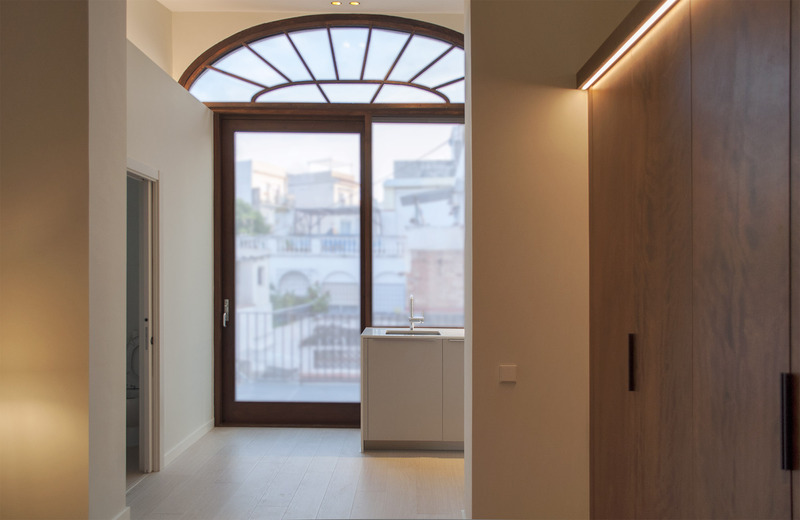 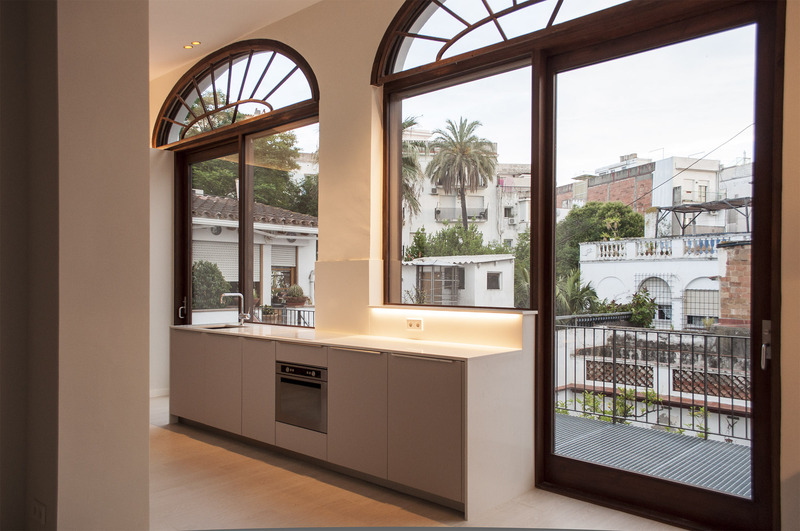 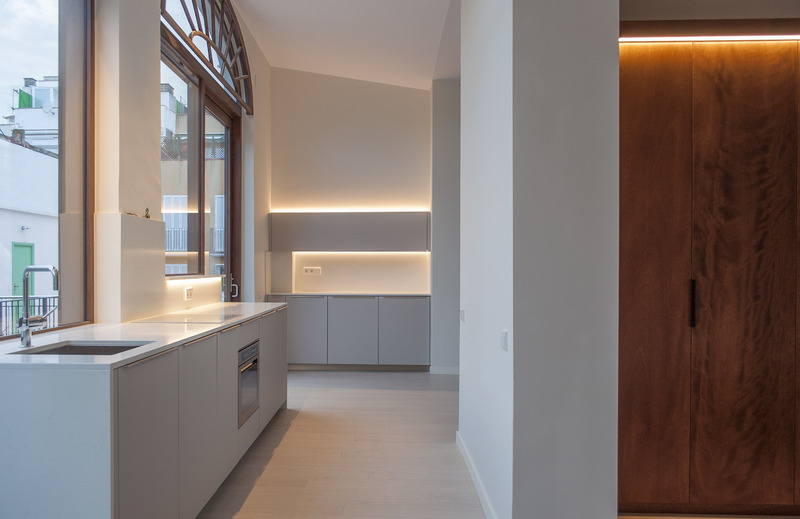 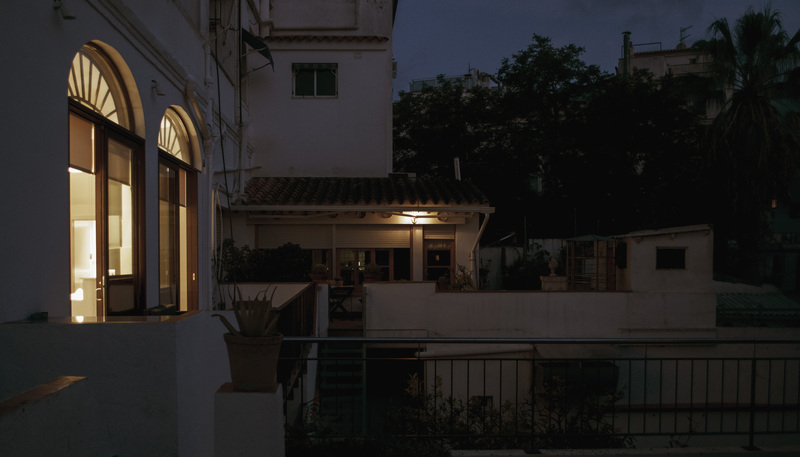 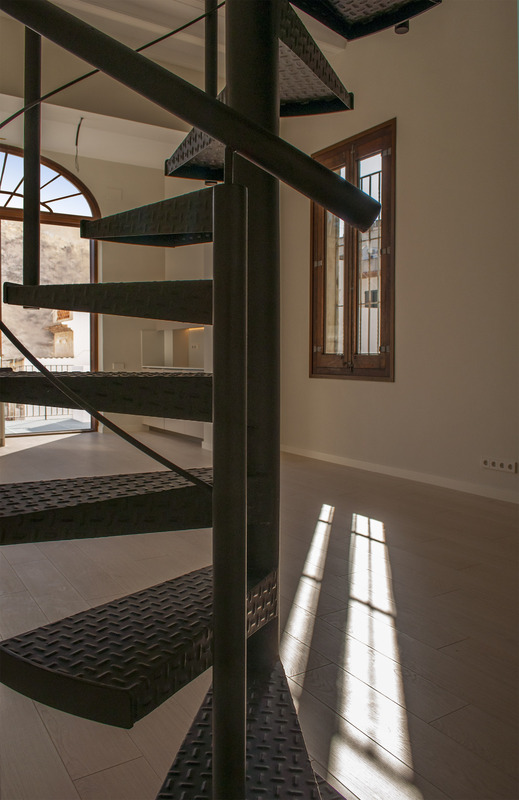 We found ourselves with another intervention in the historic center of Sitges, in a small apartment with one big space that needed to be transformed into three bedrooms. 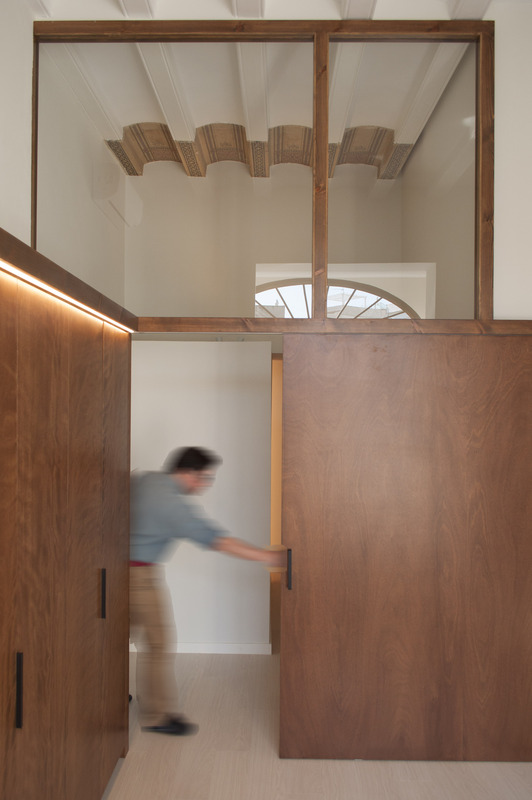 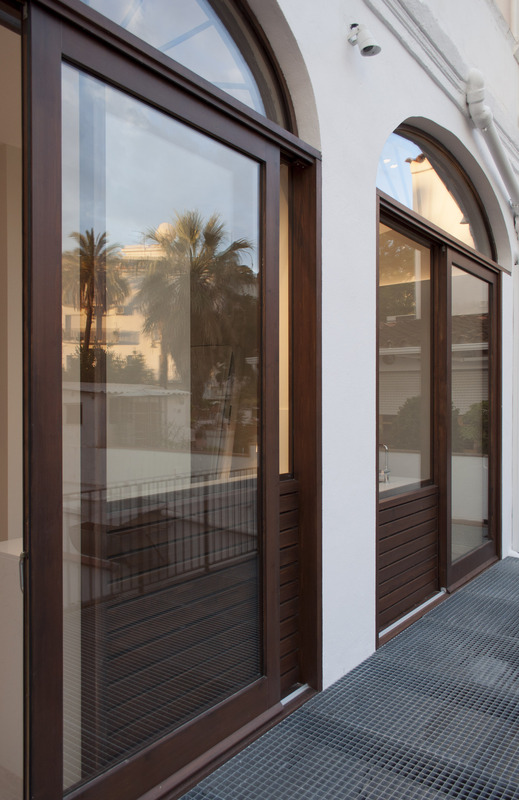 We separated the intervention in three different zones, in a way that they could work independently, separated only with sliding wood panels and furniture. 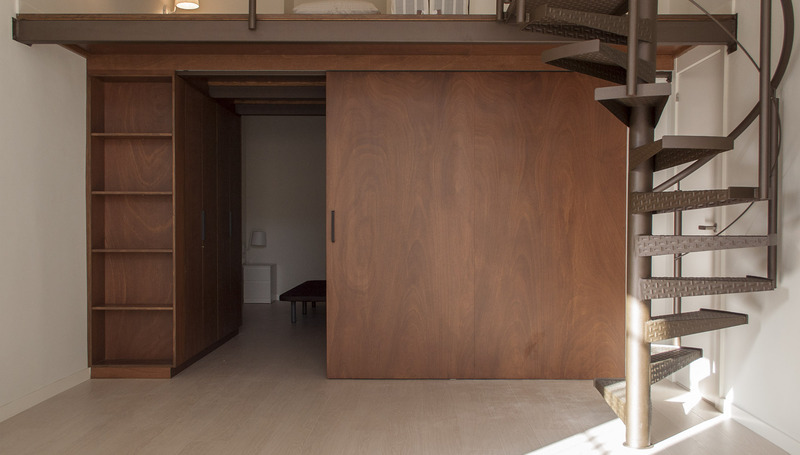 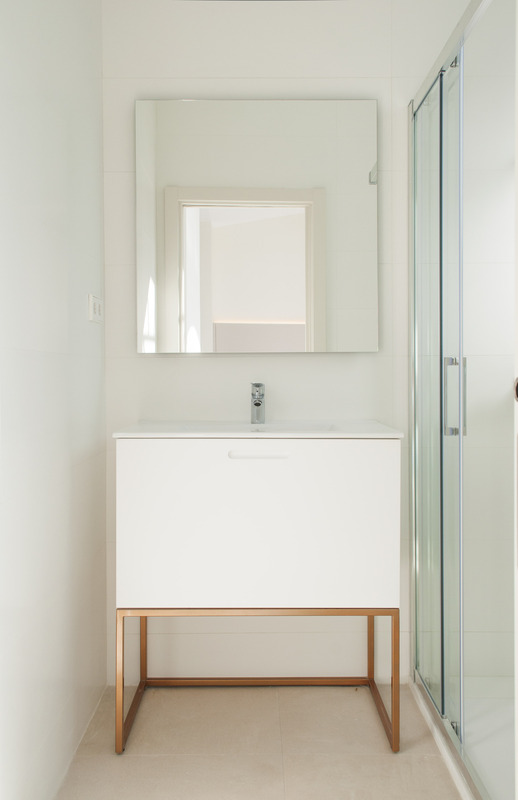 This way, the space is divided in several rooms, being the main one separated by two wood panels from top to bottom, with direct access to its own independent bathroom and a wardrobe front that take up the front side of the room. 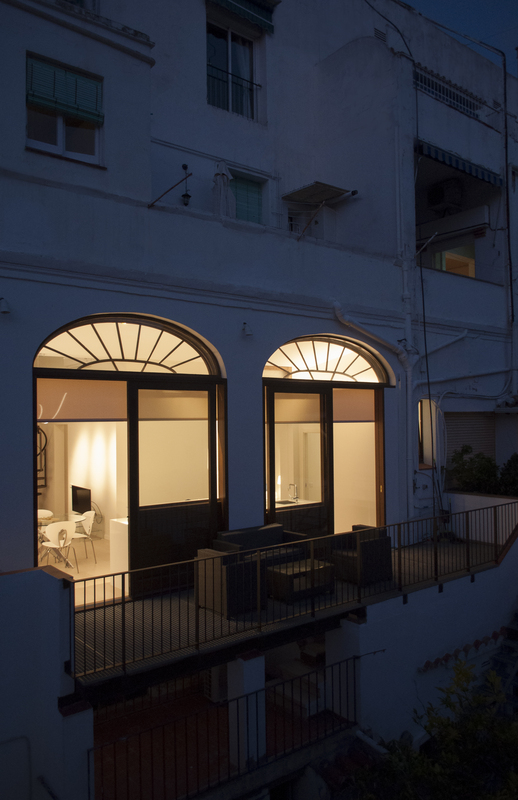 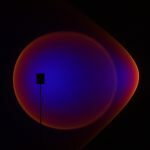 The rest of the rooms are comprised at the side of a very small courtyard that allows to keep them ventilated. 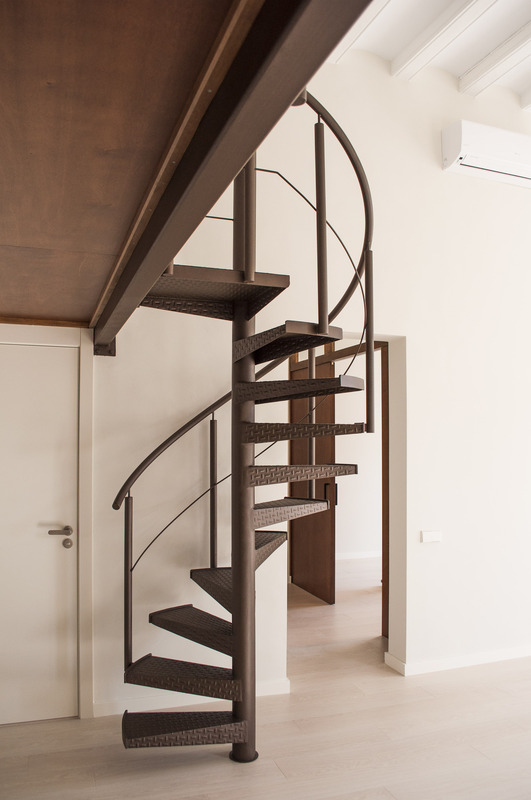 These rooms are situated one over the other, in a game of double heights that is accesible through a steel spiral staircase that save some space. 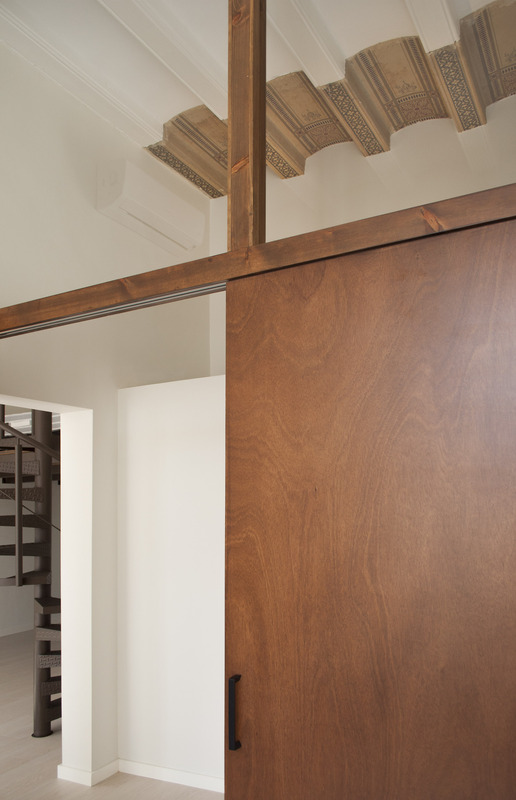 The upper room opens to the living room, but the lower room may be closed with a wood panel and shelves. 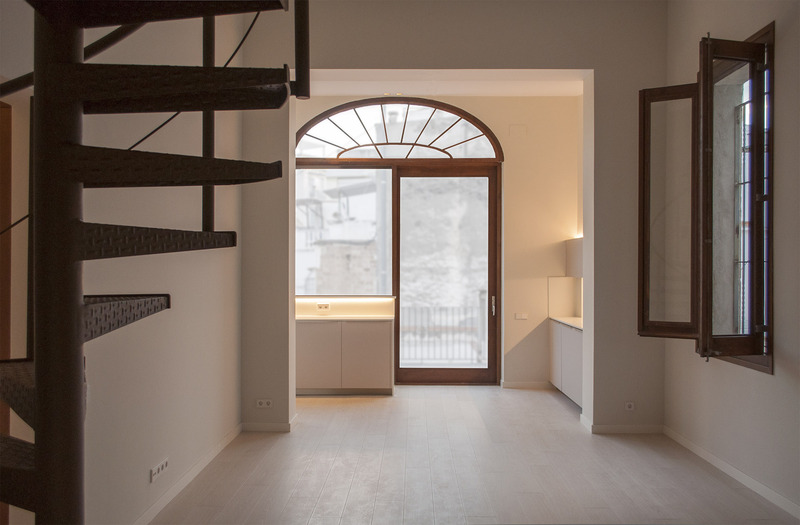 These two rooms open to the minimalist living room that takes up between the big windows that open to the terrace, elevated from the original pavement with a steel grid floor to leave it at the same level that the rest of the house. 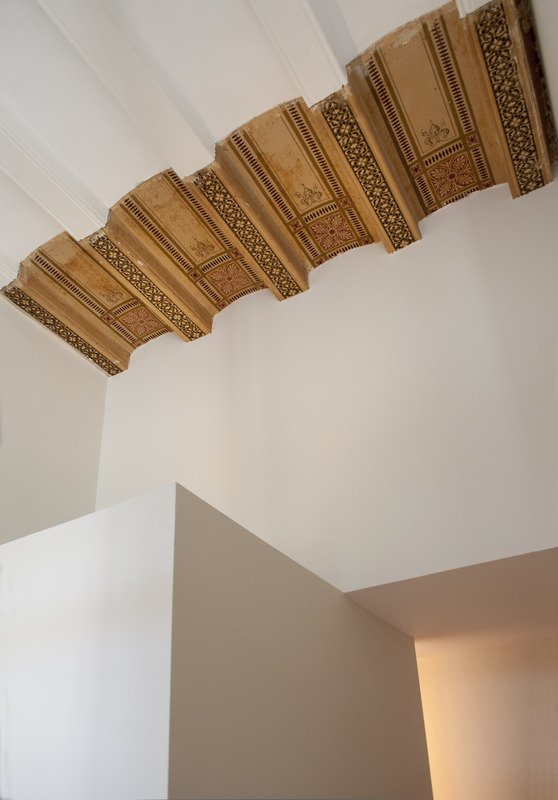 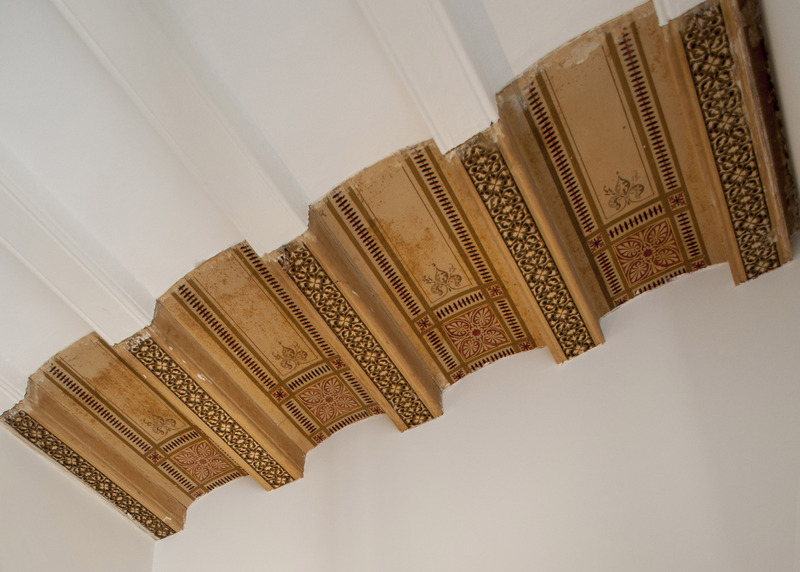 During the works, some remnants of the original apartment were discovered, like a colored coffered ceiling or two wood arcs over the window that were integrated later to the renovation.